SKU: 9350764007502. Categories: Bath & Change Time, Baths & Stands. Tags: Babyhood, Bath & change time. 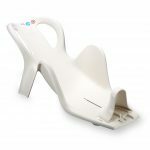 The babyhood 2 in 1 Contoured Bath is designed to suit both infants and toddlers. The internal molding allows you to have your baby lying down and as your baby grows into a toddler they will be able to sit upright and fit comfortably in the bath. The 2 in 1 Bath also comes with a hose to drain water easily without breaking your back. The universal deluxe bath stand suits this bath perfectly. A great multi-function unit which can be modified to suit your every need. 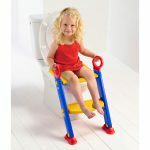 Designed as a universal bath stand you can convert to a change table or a laundry stand which ever you need.